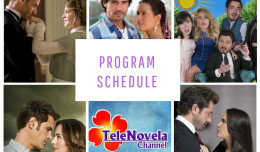 Passion: Episode 33 | TeleNovela Channel - Bringing you closer to lifes drama. Vasco gets mad at Camila for telling Justo and Ofelia about his intimate relation with Ines and is now forced into marriage. Meantime, Sofia tells Ursula that she’ll stop her from pursuing her plans to accuse Camila unfairly.